2013 was an excellent year for vintage and classic cars with record prices paid at public auctions. For the second year in a row, a Mercedes Benz topped the list of highest prices paid at auction but most of the top-ten prices were for Ferraris. 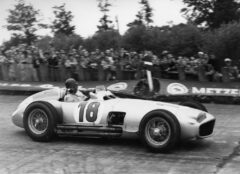 A 1954 Mercedes Benz Formula 1 racing car achieved $30 million at the Goodwood Festival of Speed sale by Bonhams to become the most expensive car ever sold at public auction. 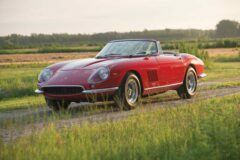 A 1967 Ferrari 275 GTB achieved $27.5 million at RM Auctions’ Monterey sale – the highest price ever paid for a Ferrari and for a road-going car. 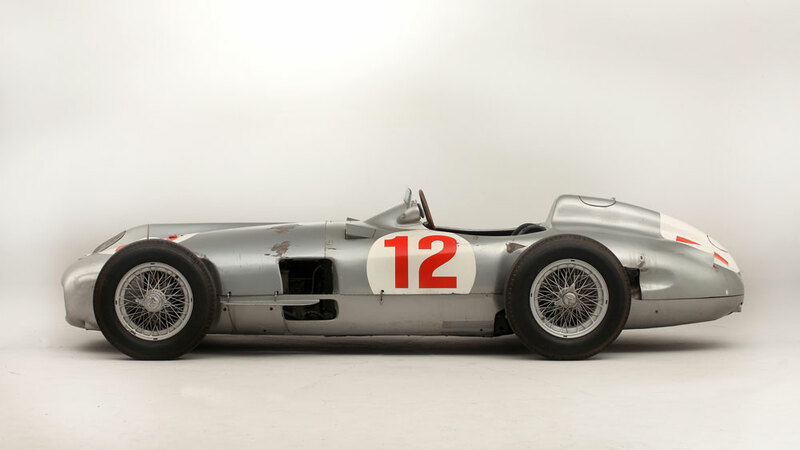 The 1954 Mercedes Benz W196R Formula 1 Racing Single-Seater achieved £19,601,500 ($29,650,095) at the Bonhams’ Goodwood Festival of Speed auction in July 2013. 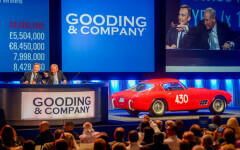 This record price was the highest ever paid for a vehicle at a public auction and therefore also the world record for the most-expensive Mercedes Benz and most-expensive racing car ever. 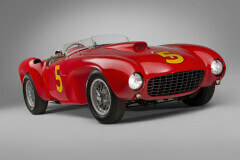 A 1953 Ferrari 375 MM Spider by Pinin Farina achieved $9,075,000 at RM Auctions’ record-breaking Monterey sale. 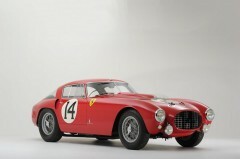 This Ferrari is one of only a dozen 375MM Spiders ever built and belonged to gentleman driver Jim Kimberly. 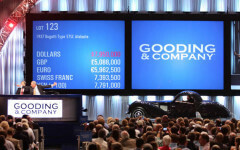 A 1937 Bugatti Type 57SC Atalante achieved $8,745,000 at Gooding’s Pebble Beach auction. 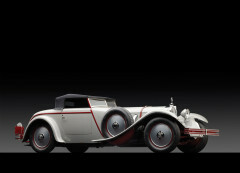 This was the second highest price ever paid for a Bugatti at public auction – the record $9.8 million paid in 1987 for a 1931 Bugatti Royale Kellner Coupe at Christies in New York still holds (over $20 million in adjusted prices). 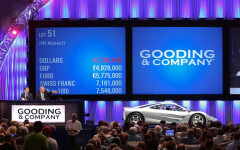 Gooding achieved a further marque record at the Pebble Beach auction when a 1997 McLaren F1 road car sold for $8,470,000 – the highest price ever for a McLaren. The McLaren was by far the newest of the cars achieving record prices in 2013. 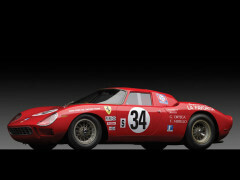 The second-youngest car achieving more than $4 million at public auction in 2013 (for the three main auction houses) was the record-breaking 1967 Ferrari.